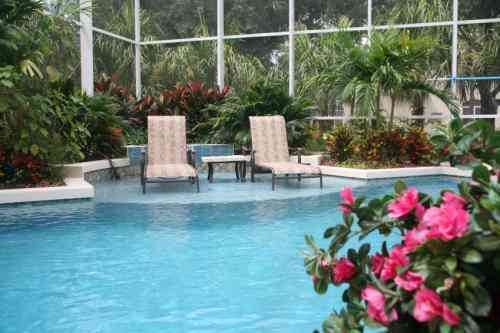 Pool Route For Sale in and around Fort Myers, Florida region for $42,000! Currently grossing $47,212 and nets $40,603 per year! Route consists of 22 accounts that are owner operated, established for 4 years. Unlimited opportunity to grow and expand an already established turnkey business with flexible days and hours. Owner will train. Motivated seller! Currently this route grosses $47,212 in revenue, and nets $40,603 per year. Income documentation will be provided to all serious buyers. Expenses include, but are not limited to: chemical cost, equipment, vehicle repair expenses, fuel, insurance for your vehicle, and we recommend liability insurance for your business. The above cash flow represents the profit after an estimated $6,609 in operating cost and expenses are subtracted. The gross income for the route is $47,212 per year, minus your above mentioned operating expenses of $6,609, gives you $40,603 in net income or cash flow. There are 22 accounts, all of which are residential. Currently the owner works 4 full days per week with Saturday, Sunday and Monday off. Hours and days are flexible. Be Your Own Boss with flexible hours! Route consists of 22 accounts that are owner operated, established for 4 years. Unlimited opportunity to grow and expand an already established turnkey business with flexible days and hours. The long cherished notion of getting a job that would provide both long term security and benefits is close to disappearing in the American workplace. It is no surprise that more people today want to do “their own thing”. Hurry this won’t last long! Priced to sell at $42,000! Contact Us About This Route Here!